How Does Being Overweight Cause High Blood Pressure? 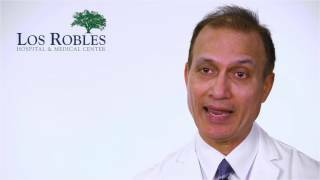 Being overweight means a larger body mass and more resistance to flow, says Vishva Dev, MD, from Los Robles Hospital & Medical Center. Learn what that means for the heart in this short clip. A stent is essentially a scaffolding device meant to support an artery from the inside, says Vishva Dev, MD, from Los Robles Hospital & Medical Center. Watch him explain exactly how a stent works in this video. What Is Congenital Heart Disease in Adults? 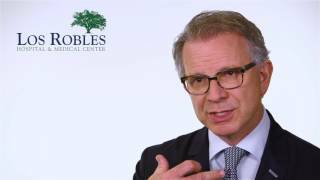 Cardiovascular surgeon Gregory Fontana, MD from Los Robles Hospital & Medical Center discusses heart problems that affect people from birth and the treatments available for these conditions. Healthcare providers recommend lung cancer screening based on a number of factors, including age and medical history. Learn more in this interview with cardiothoracic surgeon Winnie Lee, MD from Los Robles Hospital & Medical Center. What Are the Most Common Causes Leading to Heart Surgery? 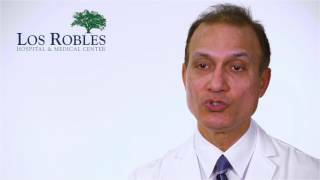 The most common cause of heart surgery is blocked arteries due to cholesterol deposits, says Vishva Dev, MD, from Los Robles Hospital & Medical Center. Watch this video to learn about other common causes. Cardiovascular surgeon Gregory Fontana, MD discusses surgery to treat aortic aneurisms and tearing of the aorta. Part of an interview series with the staff from Los Robles Hospital & Medical Center. 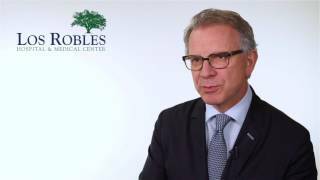 What Is the Chest Center at Los Robles Hospital? What is Afib and How Is it Treated? How Is Screening for Lung Cancer Done and How Is It Diagnosed? Who Is a Candidate for Aortic Valve Replacement? What Is Transcatheter Aortic Valve Replacement (TAVR)? What Should I Do If I Notice Someone Having a Heart Attack? What Are the Different Types of Surgery for Lung Cancer?